1908. 475 pages. No dust jacket. This is an ex-Library book. In Latin. 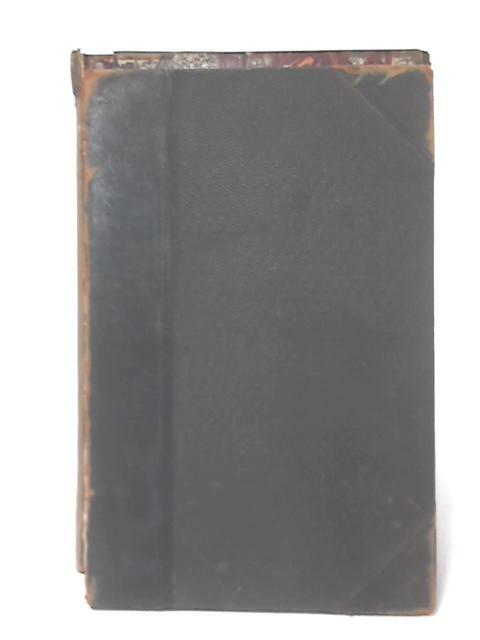 Half black leather bound to patterned boards, with no visible lettering. Heavy tanning throughout. Ex-libris stamps second front endpaper & title page. Some internal hinge cracks, but text block remains together. Spine missing. Both boards are detached from text block. Moderate rubbing & peeling to leather. Mild staining and soiling to boards.